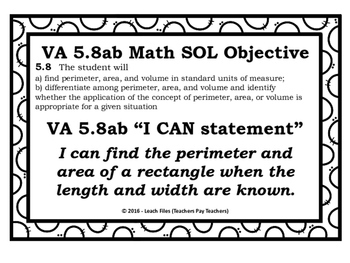 This bundle includes foldables, guided notes, I CAN statements, practice activities and sol objectives for the VA 5th Grade Math SOLs under the Measurement Standards. 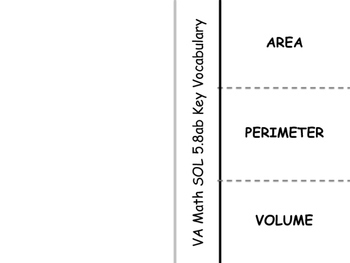 Practice Activities can be used for practice or for assessment. Full page answer keys are included. 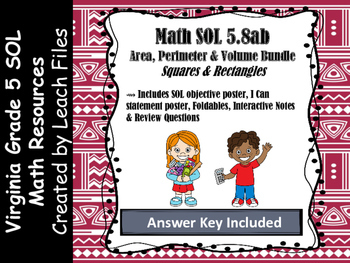 PLEASE CHECK OUT THESE OTHER MATH PRODUCTS & DON’T FORGET TO LIKE MY TPT STORE – LEACH FILES!!! !